If you want to create a luxurious look without a hefty price tag, and also don’t want the on-going maintenance associated with real marble, then marble effect tiles are the choice for you. Our marble effect wall and floor tiles are made from hardwearing porcelain and pre-sealed for ease of maintenance. Made in our own factories our collection has been designed to reflect the very latest design trends at prices much lower than the high street, so you can achieve a luxurious look for less. Our factories produce with Italian machinery, so combined with our own in-house design and high quality assurances, we are able to make the very latest tiles designs at such low prices. Our range captures marble styles in tones of grey, ivory and white which are perfect for introducing your home or project. Our range of marble effect wall and floor tiles are perfect for all areas of the home; from bathroom, kitchen, hallway or open-plan living area as they are made from high quality premium grade porcelain they are hard-wearing, easy to maintain and suitable for use with under-floor heating so perfect for seamless designs. We have even pre-sealed all our polished stone effect porcelain tiles so you can fit them with ease; perfect for a busy family bathroom or open plan kitchen. Capturing the latest interior trends for marble finishes our range captures, popular Calactta and Carerra marble, Tuscan marbles and the finest Italian designs. Our customers love or marble effect tiles with good reason. They’re cost effective and perfect for modern life. You can team with copper or bronze mosaics for a coordinated style – just ask one of our team to help you create the latest look. 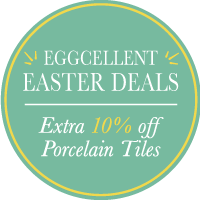 Together with our ability to stay ahead of the latest trends you’ll be able to get the tiles you desire at such low prices. Start browsing and find what you’re looking for!